*Nicolette (O'Bajan 1-10 x Niobe) passed at 24 years of age. She was an elegant mare, very sweet, wonderful broodmare. 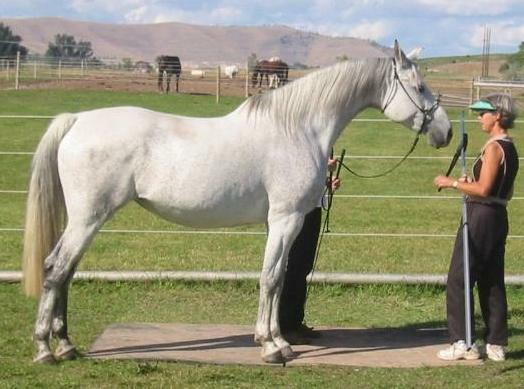 She gave the Shagya breed Nicolatina Star, Niabe, Nicolette's Revelation and Nicodemus Silver SH. Dear Nicodemus was only 2 months old when she passed. She gave her life for him and I will always be grateful for her sacrifice. 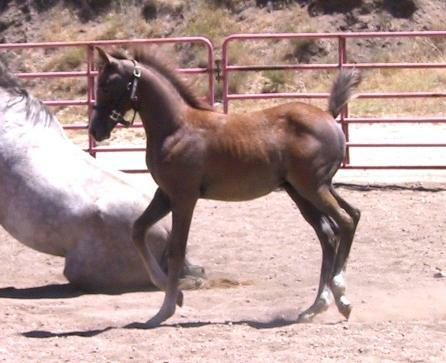 The beautiful Shagya-Arabian colt Silverwood SH by Sterling Silver AF passed away after a tragic accident. We will never know what his promising future held. He will be greatly missed. The TB mare Rondine (Lily). It was with great sadness that I had to put my dear Lily to sleep. The years on the racetrack took their toll on her and it was time for her to be pain free. She gave me my first foal, Reveille SF, and a year later Ramius SH. She was Sterling's favorite mare.